#grateful4 the opportunity to be an active volunteer with BeFriend Elders; it makes me feel I am worthwhile because I am doing things for others. #grateful4 a commitment to looking after me this year. #grateful4 God – I was on a bus that had to pull up with a jolt and I was hanging on to a rail with two hands. The jolt swung me around and I really thought I was going to fall. If I’d fallen I’d have hurt myself badly and wouldn’t be able to go to Melbourne next week. #grateful4 a shift in the dynamic. The manager of the service is now being pleasant towards me; she has moved beyond indifference. I don’t expect anything more – even though I know I deserve better. I am making the best of it. I am also #grateful4 the joy I am bringing other people – very much so. #grateful4 the wisdom now not to totally get bogged down with doing things for other people and instead taking time to do more for myself. #grateful4 the skills to master Facebook and #grateful4 the people I am meeting and that they are responding to the little messages I put up. It feels good to find a message here and a message there and I think ‘this is lovely’ – I feel connected. #grateful4 still having pretty good health that enables me to come to Melbourne for Pride March and for the Acceptance conference plenary sessions shaping the Catholic Church’s response to LGBTI people. #grateful4 Marilyn who pulled me out of a depressed state this morning. She helped me see through a difficult situation and acknowledge what was my stuff and what was other people’s stuff. I’m grateful4 being around LGBTI community members, knowing that we are all the same. I’m also grateful4 the people at Unity who made me very welcome. #grateful4 my capacity to reach out to friends and tell them when I am feeling a bit down. #grateful4 my capacity to acknowledge all my emotions and sit with them, however uncomfortable they make me feel. And #grateful4 my faith – very much so. We are currently working on a postcard for LGBTIQ community members and looking for sponsors – if you are interested please contact Catherine using the details below. 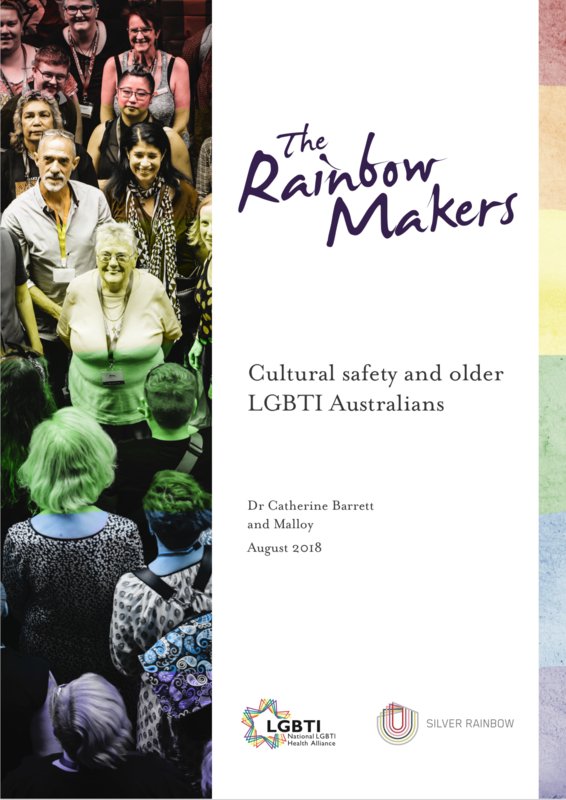 We had a wonderful meeting with LGBTI Elders and service providers in Adelaide in October 2018 to celebrate the launch of the Rainbow Makers resource on Malloy’s home turf. 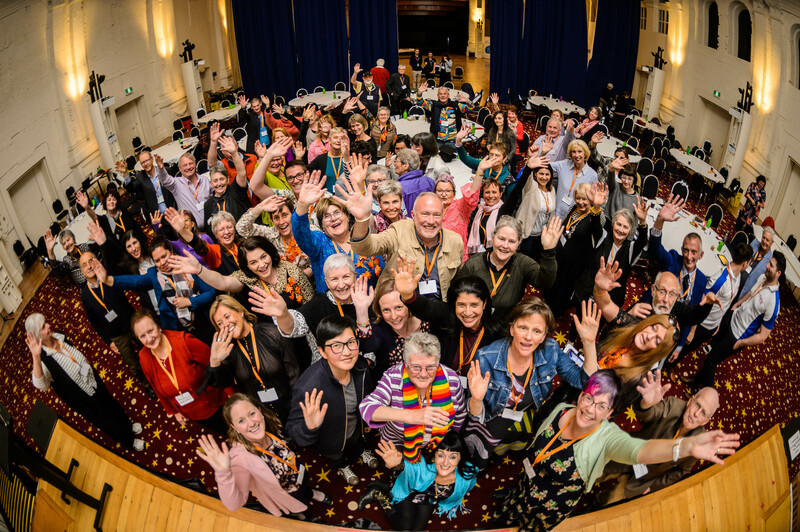 We love that this resource will help to build the confidence of LGBTI Elders in knowing there are support and advocacy services out there to help them. In 2017, Malloy presented her experience of discrimination by an aged care service, in a panel at the National LGBTI Health Alliance’s Health in Difference Conference in Sydney. After the conference we asked delegates to join Malloy for a photo – to provide Malloy with a reminder that she is loved. 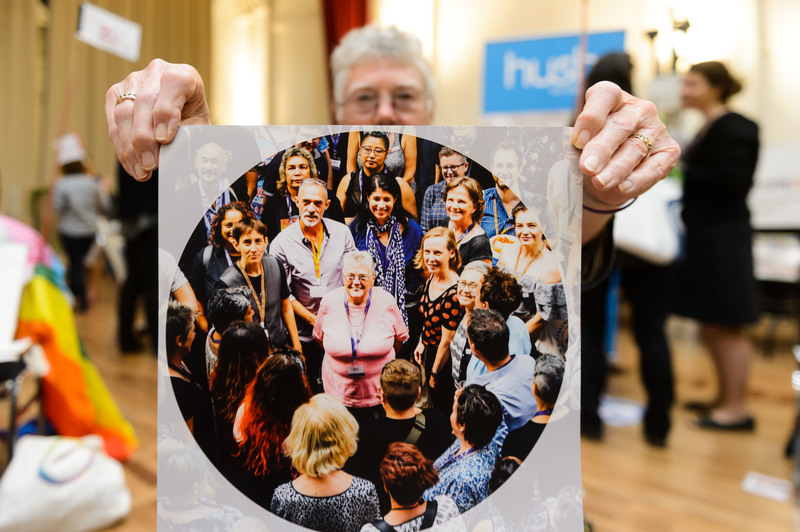 The photograph was so powerful that the Alliance have turned the photograph into a poster welcoming LGBTI Elders in aged care service (see below). You can order a copy of the poster from the Alliance by clicking the link here. 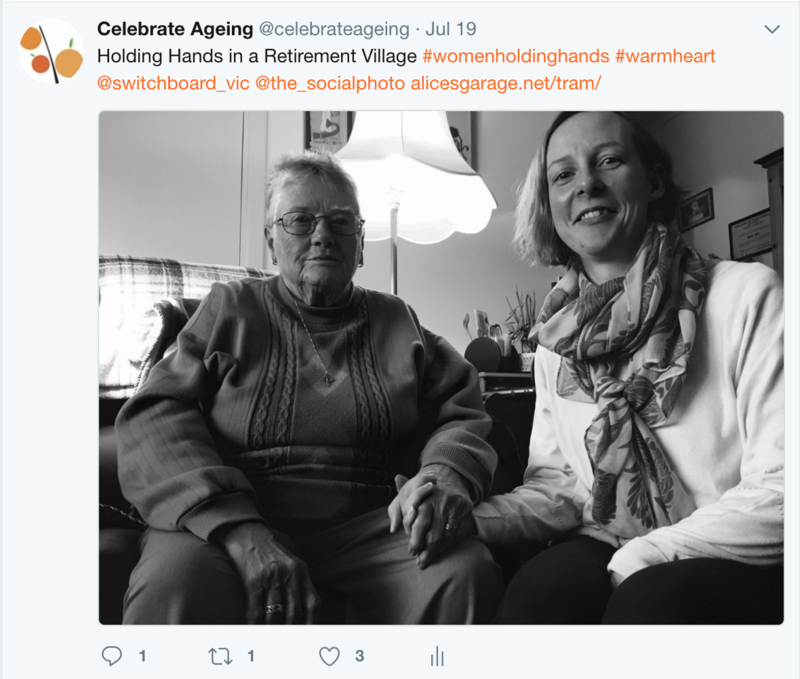 In 2017 Malloy shared her story as part of a project called Hold Hands on a Tram. The project explored lesbian history and resistance. Malloy shared her story with Laine Sainty in an article for Buzz Feed – you can read the article by clicking the link here. In October 2018 Malloy was made a Fellow of the Elder Leadership Academy in recognition of her work – outlined on this page. In particular, Malloy co-produced the Rainbow Makers resource and continues to share her messages to LGBTIQ community members about finding their strong. Photos below show Malloy being awarded her Fellowship by Senator Janet Rice, and also photographs with graduating Fellow Anne Tudor and Gender and Sexuality Commissioner Ro Allen. Congratulations Malloy – you earned that hat.